Your best preparation for tomorrow is what you do today. Whether you're preparing to embark on a high country spot-and-stalk big game hunt or an intense cross country mountain bike ride, physical outdoor activities like these demand that your body be able to handle the extreme conditions required to conquer them. You need vital nutrients to support, sustain and oxygenate the body's maximum output in order to increase performance in both your mind and muscles. 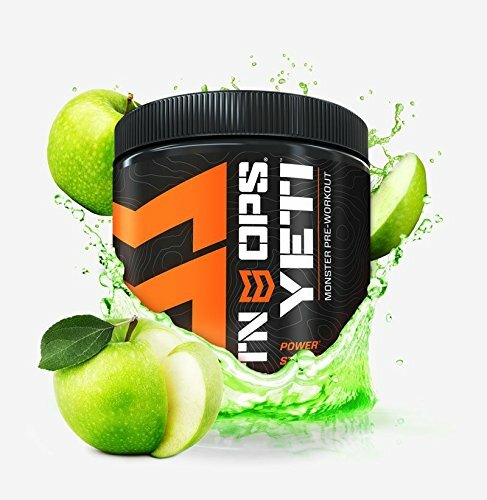 Mtn Ops YetiTM-Monster Pre-Workout Formula may help to maintain sustained energy, performance and endurance levels. One of the major secrets to the success of YetiTM is its ability to create Nitric Oxide in the body for over 20 hours. Nitric Oxide helps in dilating the blood vessels and arteries, allowing more blood flow throughout your body and muscles. With YetiTM we add 1,000 mg per serving of L-Citrulline which acts as a catalyst and prolongs the production of Nitric Oxide. This prolonged production may aid to maintain strength, power, and endurance during exercise at home, at the gym, or in the outdoors. Release your body's full potential with YetiTM and push your workout past routine into extreme. * These statements have not been evaluated by the Food and Drug Administration. This product is not intended to diagnose, treat, cure, or prevent any disease. MAINTAIN A DEEPER ENERGY RESERVE: Amino acid L-Citrulline catalyzes and sustains the production of Nitric Acid, which plays a critical role in maintaining energy reserve for 20+ hours!